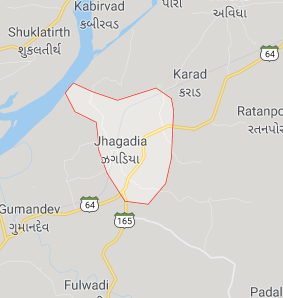 Zhagadia (also spelled Jhagadia; Gujarati: ઝઘડીયા) is a taluka in Bharuch district in the state of Gujarat, India. Zhagadia is located 2 mi (3.2 km) south of the southern bank of the Narmada River. It is southeast of the historic town ShuklaThirth, where Chanakya lived until he returned to Pataliputra (now Patna). The economy of Zhagadia is dependent on industrial area (GIDC) and the fertile land where bananas, sugar cane, cotton, wheat, sorghum, and other vegetables and fruits are grown and exported. Trade to the interior villages, local government offices, and Seva Rural Hospital and local businesses provide most of the employment. Call us at +91 93 74 77 79 00 . Alternatively, you can contact us online to arrange a free site survey of your property and to discuss our range of effective solutions.